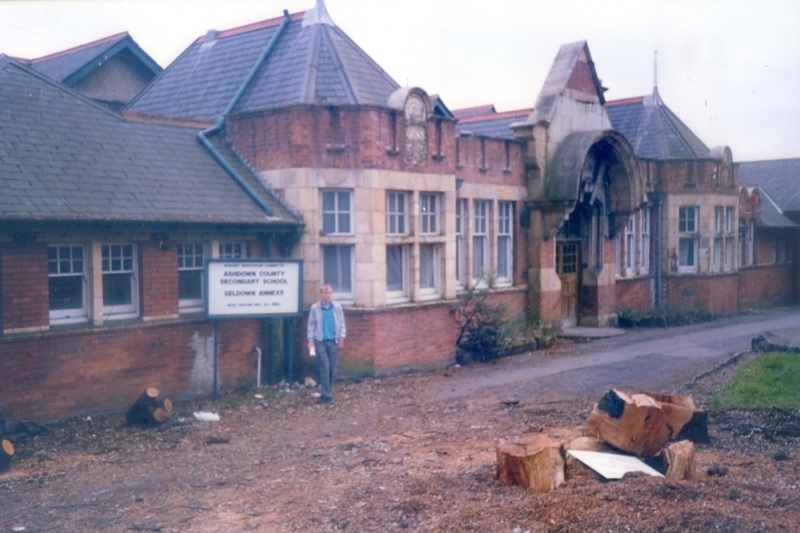 Seldown was an 'old school' school. An open quadrangle, huge oil heated radiators. Rotating brass light switches. Asbestos gloves for use in metal work. Two huge metal forges. 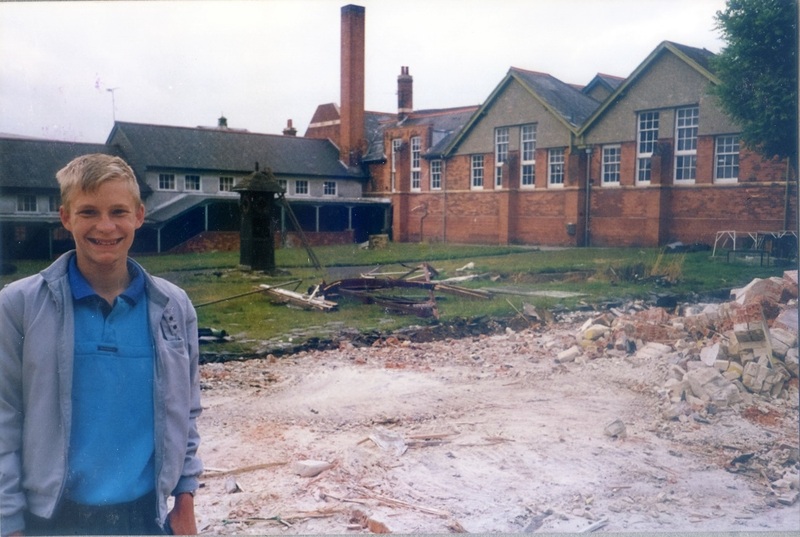 An old shower block that you used to have to run across the playground from dripping wet - to get back to the changing rooms. Lots of old out-buildings containing all manner of interesting things. They don't make them like that anymore! 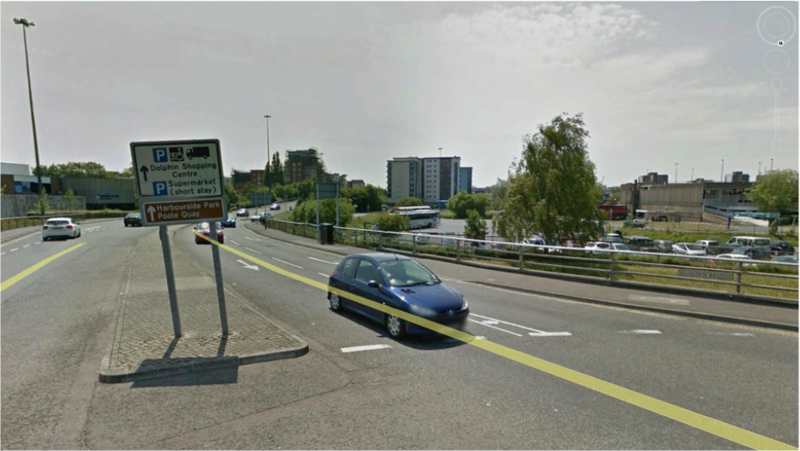 However, the problem for its survival, was that it sat in a massively important location, right in the middle of Poole town centre. 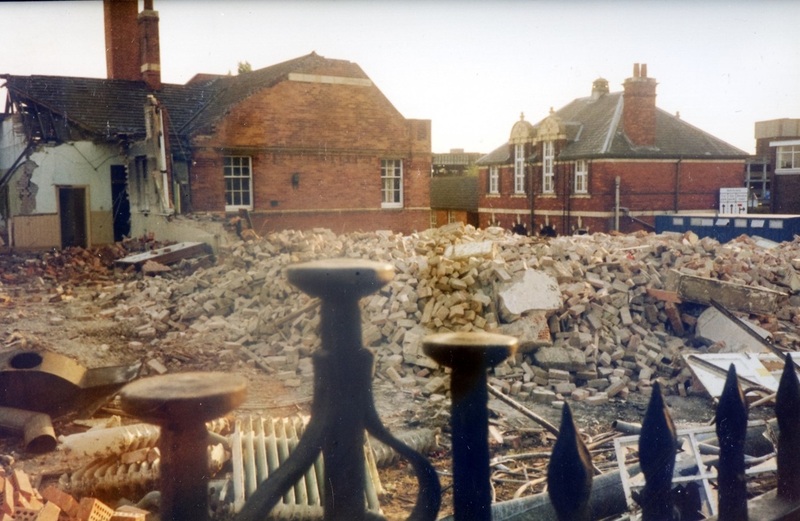 There was big pressure from the council to get rid of the school so that they could build a bridge over the railway line (which ran adjacent to the school field) and connect up the 'Quay' side of town, with the town centre. 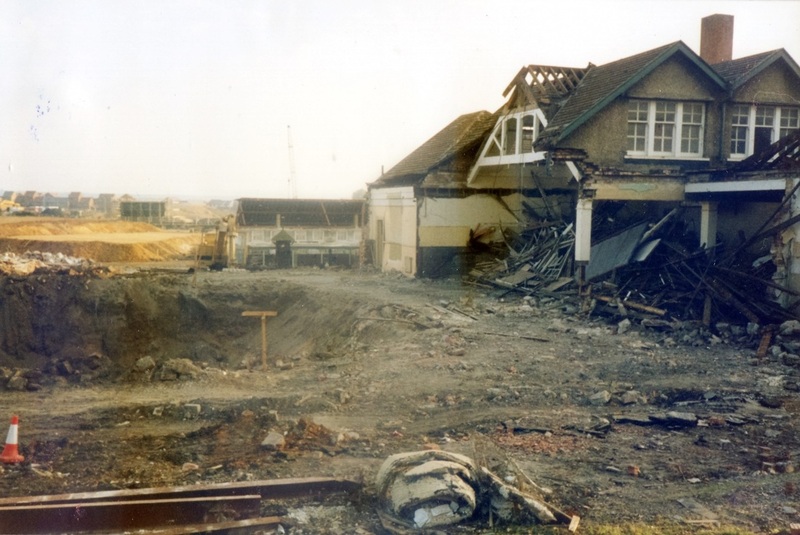 So in August 1988, demolition started. This meant that I was part of the final year of pupils at the school - and the last to complete the entire four years there. I actually spent an entire month photographing the demolition. Every day (at the same time), I went onto the roof of the car park opposite the school and stood in the same spot and took a photo. I did this for 28 consecutive days. However, when I went to get the photos developed, I found out that the film (remember that stuff?) - hadn't wound onto the spool when I first put it in the camera. So I lost everything! I remember crying in the photo shop! Consequently, most of the photos you see below were taken by my dad...Click on an image to view full size. 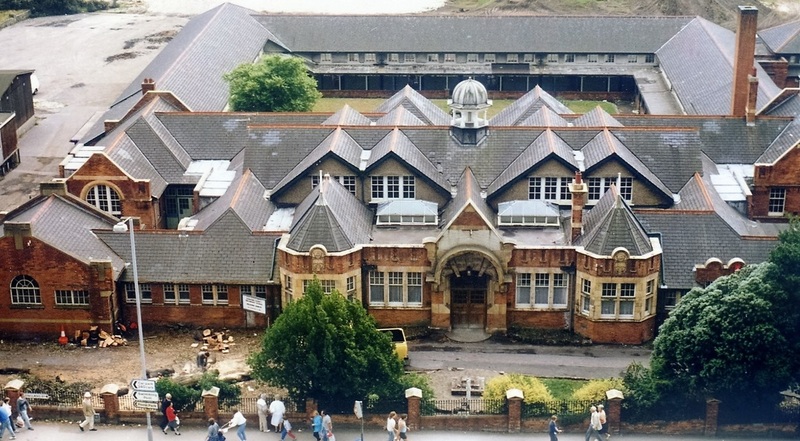 Seldown School Main Building - What a beauty! 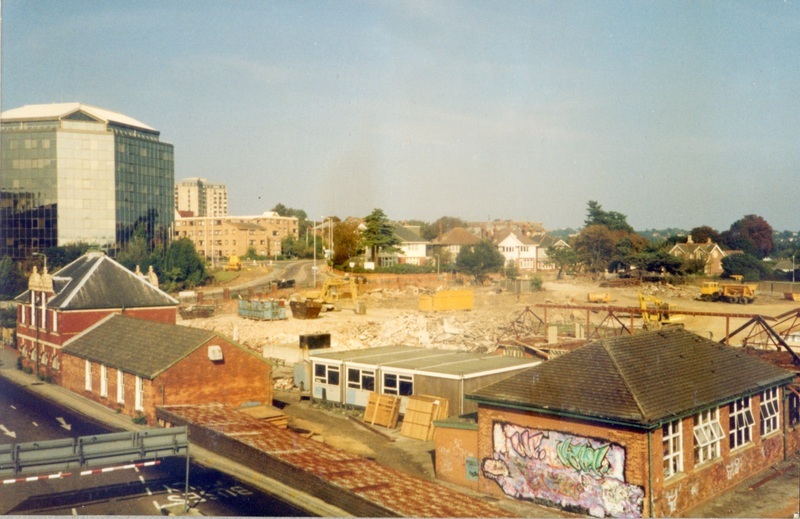 The image above on the left shows the school as viewed from the Poole Arts Centre (now called The Lighthouse). The cranes have already moved in, but had not yet started in earnest. 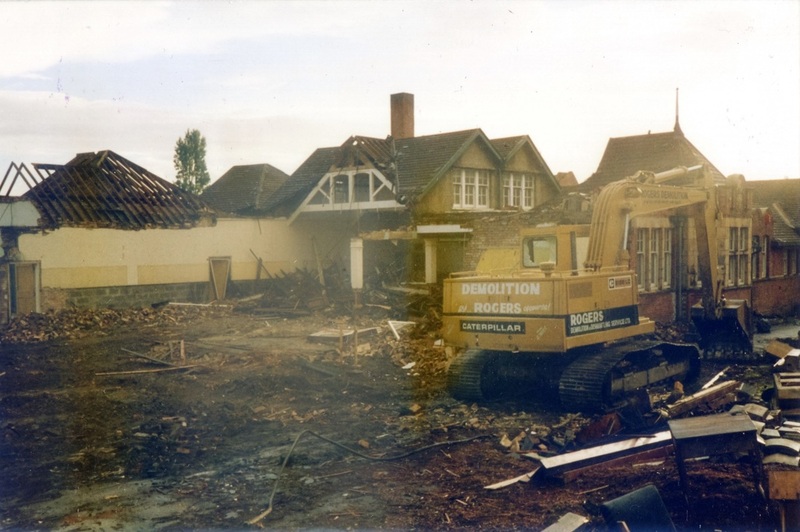 The image on the right shows the 'front door' of Seldown. However, this entrance was never used when I went there. 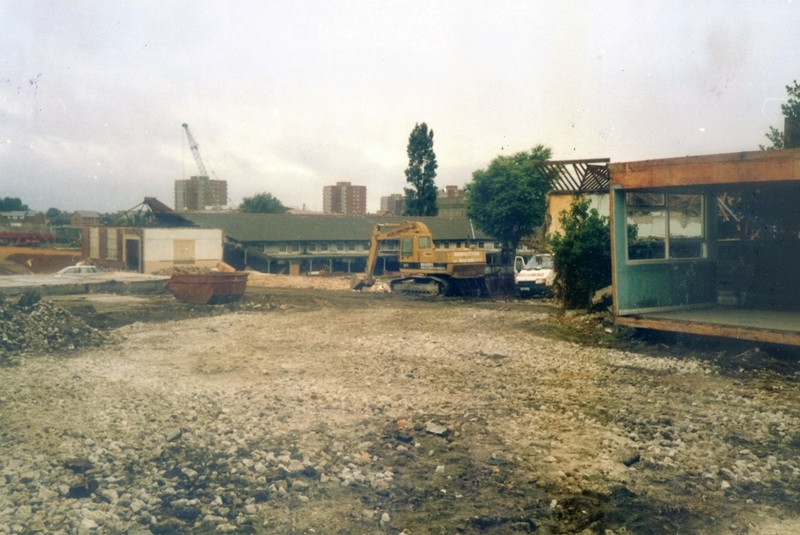 In the bottom right of these images are where I used to have maths and music lessons. Note those old opening windows. I used to love them! Some of them were so high up that we had a special tool to reach them so that we could open them. 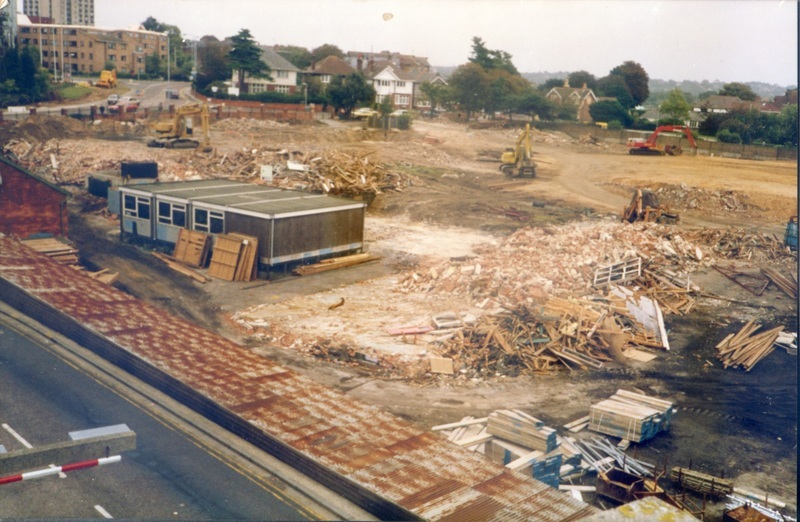 The flat roofed mobile building you can see was my final year classroom. It's where Mrs Young taught Geography also. 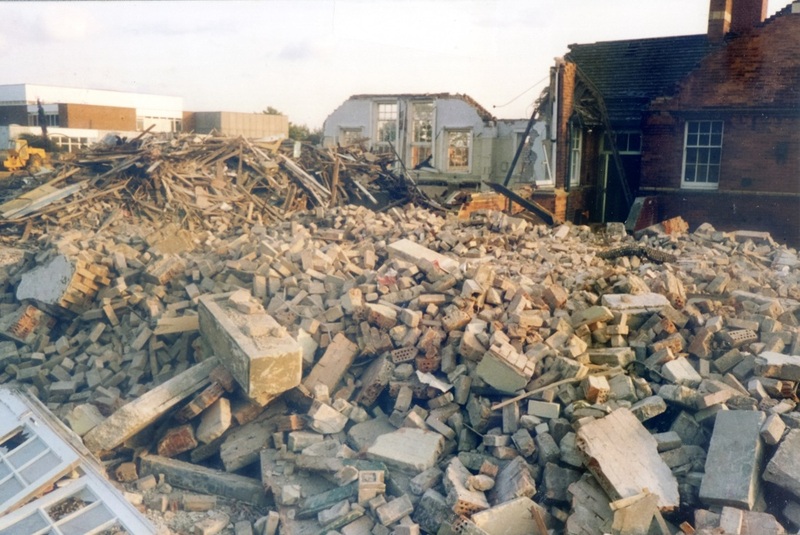 When the demolition took place it was the last building to be removed because the contractors used it as a base of operations. 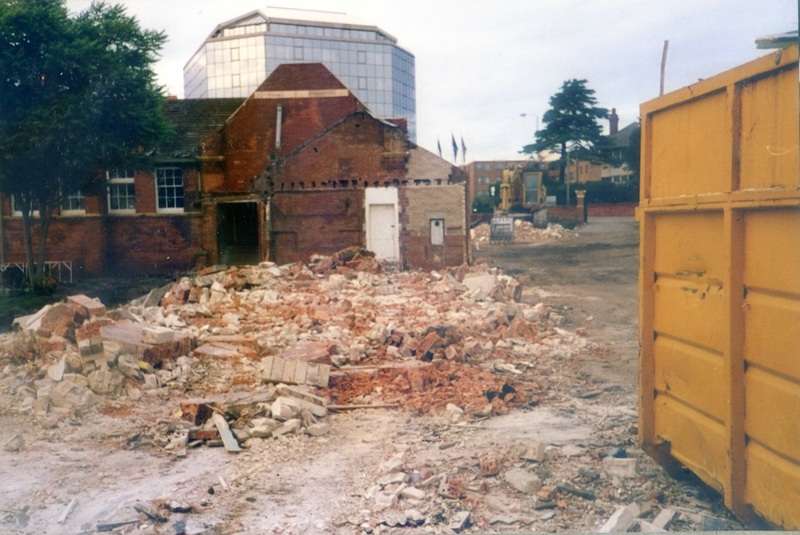 In the left image, the building on the very left is the art block - which also consisted of 'the dungeon'! A spiral stone staircase led down into it (only saw it perhaps twice in four years) - where inside they had all sorts of pickled brains and jars of mercury and such like. An amazing place! It was like Hogwarts! So here is the quadrangle. The sloped roof buildings in the background back onto the school hall. It's where we had French and some science classes. Look at that massive chimney. I may be wrong, but it could be the one that was linked to the 'fume cabinet' in one of the science labs. Anyone know? Contact me if you do! You can also see from these two shots that the quad was 'open' on all sides. So often the wind would be whistling in here as you moved between classes. The corridors were not a warm place in the Winter! 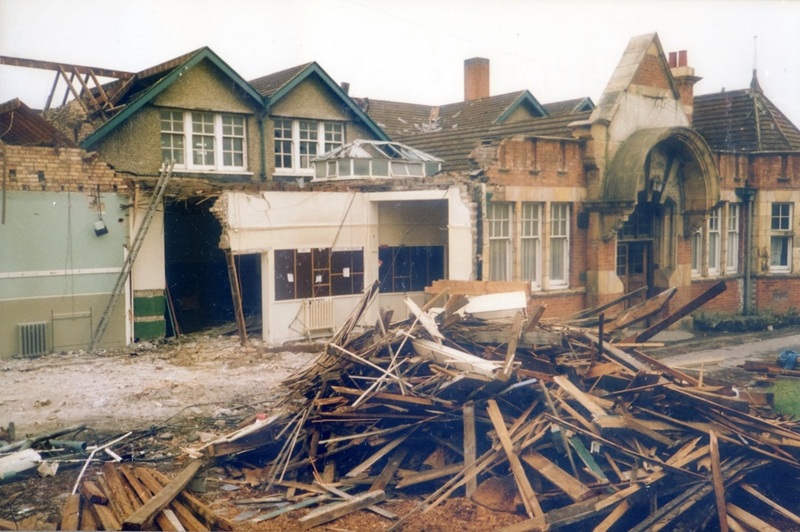 Left image: Main building of school starting to go...Right image: Here you can see 'into' the school hall.The two classroom doors are still visible. 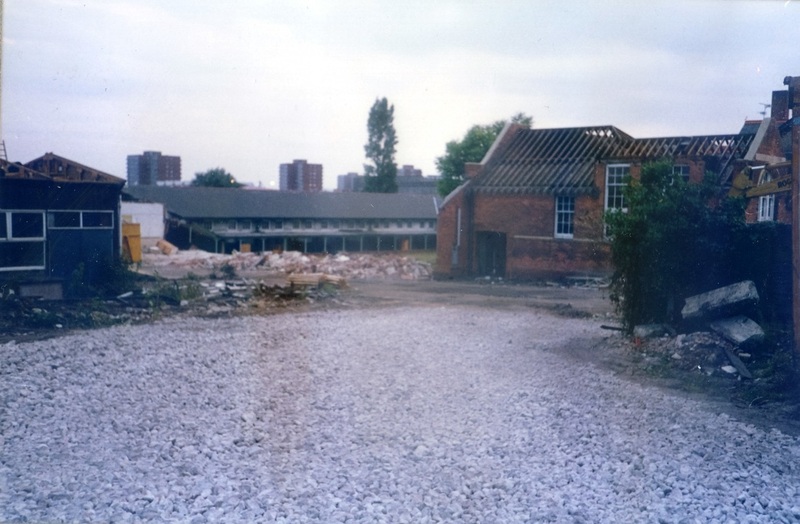 The image on the left shows the main building now gone. (The railings in the foreground are clearly visible the aerial shot at the top of this page). I'm still trying to work out the orientation of the picture on the right! 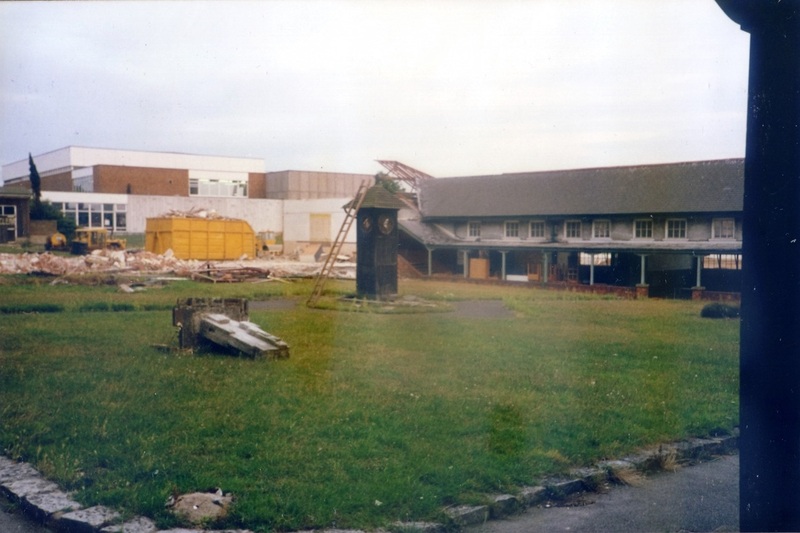 I think that building with the white part on it was the shower block, if I'm not mistaken. The photo above is me on the steps that went up into the 'TD' room. (Technical Drawing). It was another 'mobile' that was added to the school grounds. 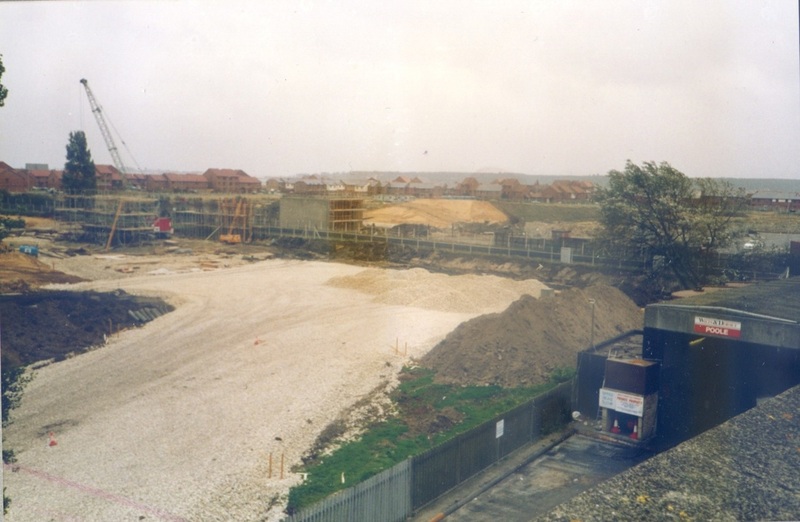 The image on the right is looking North towards Poole Park. 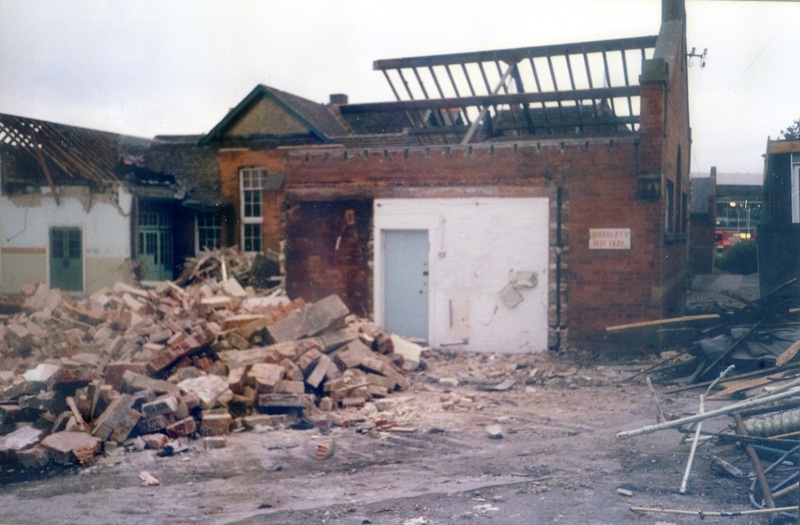 It shows one of the main entrances into the school grounds. 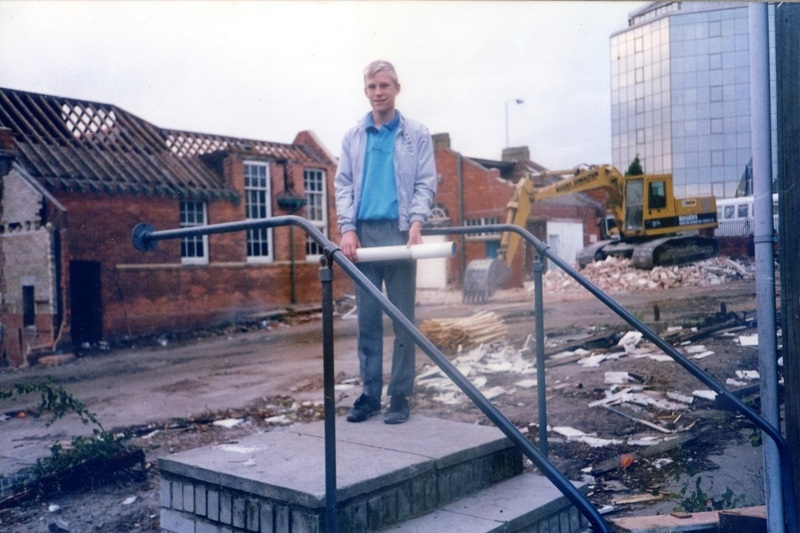 We used to go out of that entrance, turn right and walk along the road to another building where we used to have lunch. 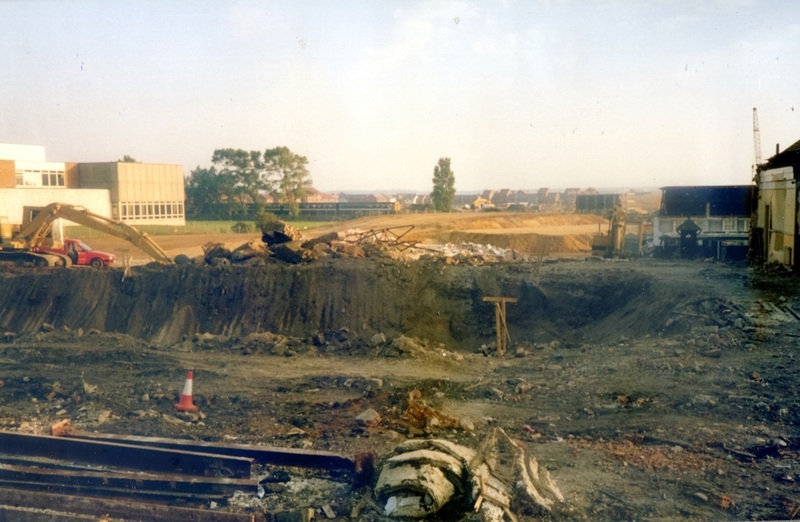 Again you can see from the shot on the right, that most of the Eastern side of the site has been cleared now. Practically all gone at this stage. 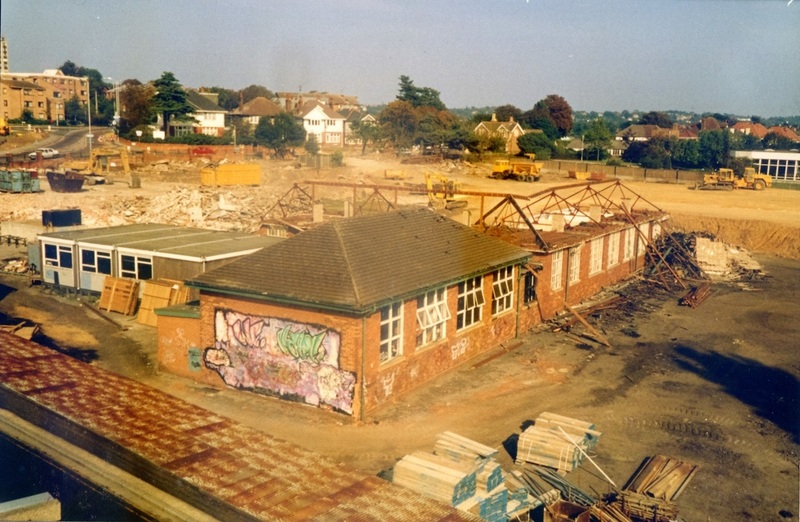 Only my old classroom (the rickety old mobile building) remains. 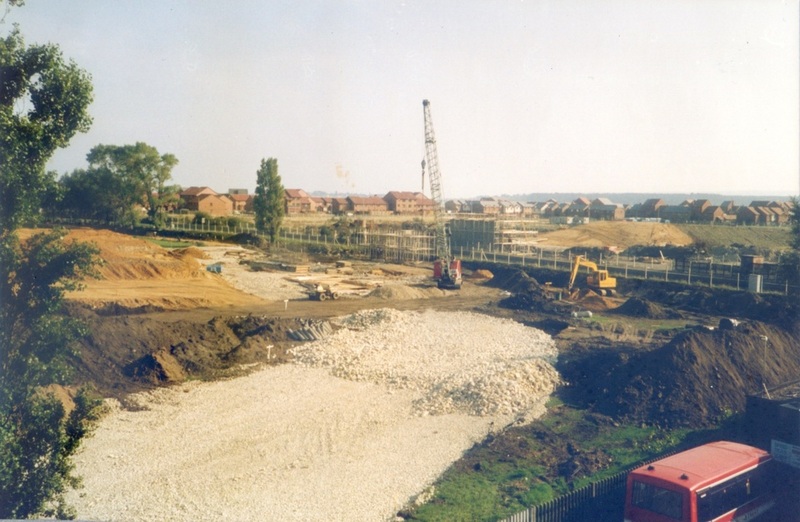 In the image on the right, you can see the foundations of the road and bridge that will go over the railway line. 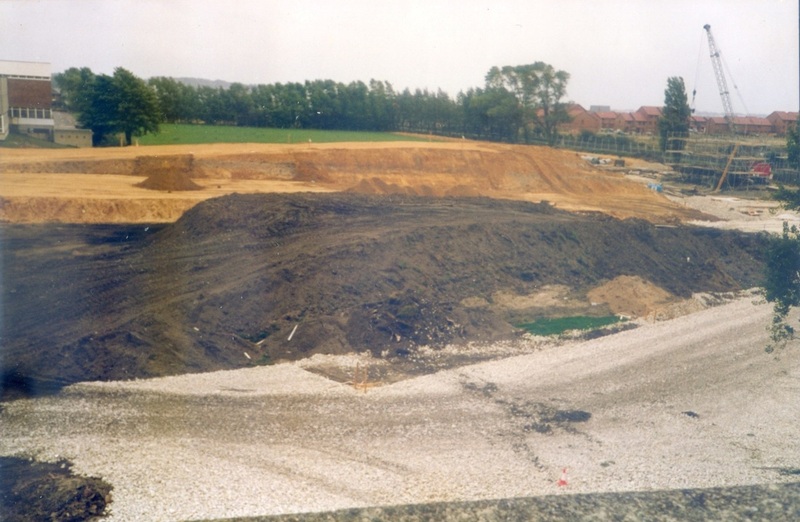 Here you can see they have already made progress with the bridge. In the foreground in the left image is the bus station 'bus wash'. 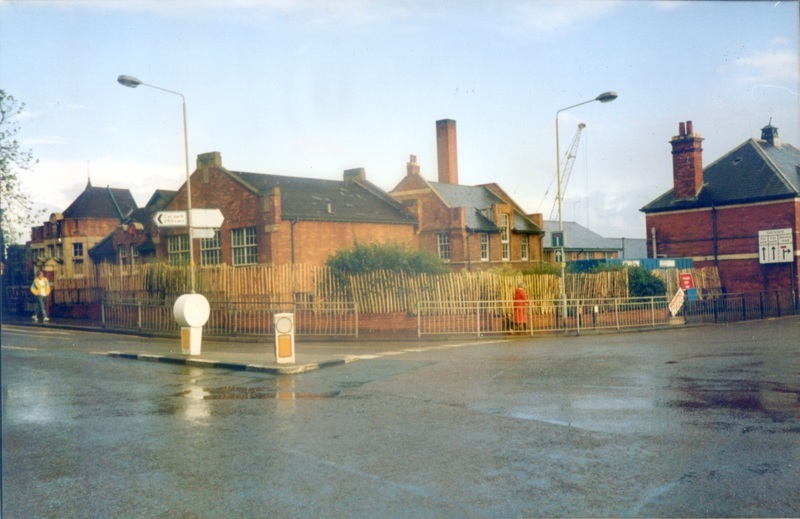 The bus station is still there today.